Mongolia Mining Corp. is betting there’s enough demand from China to support the construction of an $800 million railway that will double export capacity to the nation that counts Mongolia as its biggest coal supplier. Expanding transportation links between the adjacent countries "will improve the position of Mongolia as the leading coking coal supplier to China," Battsengel Gotov, chief executive officer of MMC, as the company is known, told reporters in the Mongolian capital of Ulan Bator. Chinese demand has been curbed by slower global growth and coking coal prices have fallen as much as 15 percent in the first half from the previous six months, Gotov said. Xi Jinping, the man in line to be China’s next president, warned officials on a 2004 anti-graft conference call: "Rein in your spouses, children, relatives, friends and staff, and vow not to use power for personal gain." As Xi climbed the Communist Party ranks, his extended family expanded their business interests to include minerals, real estate and mobile-phone equipment, according to public documents compiled by Bloomberg. Those interests include investments in companies with total assets of $376 million; an 18 percent indirect stake in a rare- earths company with $1.73 billion in assets; and a $20.2 million holding in a publicly traded technology company. [..] … old China hands like Peterson Institute economist Nicholas Lardy [are] concerned. He points out that last year residential construction accounted for 9.2% of Chinese GDP. Compare that with 6% in the U.S. at the peak of its housing boom in 2006. Among major countries, only Spain has hit that level—right before the housing collapse in that country. Lardy and others fear that a major decline in residential real estate and underlying property prices could severely damage the Chinese economy. (Average new-home prices in some 70 major Chinese cities fell monthly in the eight months through May.) A falloff in demand for steel, cement, and copper would lead to heavy layoffs. He reckons that some 25% of all Chinese steel consumption goes into residential real estate. According to Lardy, nearly 20% of Beijing residents own two apartments or more in the city. Thus any precipitous slide in the property market would have a tremendous negative wealth-effect in an economy whose consumption spending needs to be nurtured, not impaired. And, of course, the financial system could suffer mightily from a real-estate slide, even with the conservative loan-to-value ratios of most mortgages. Local governments typically raise 30% to 40% of their annual revenues from land sales—the state technically owns all land—to finance their operations and capital improvements. [..] … the central bank, the People's Bank of China, is sitting on $3.2 trillion in foreign reserves (mostly earned from China's positive trade balance with the U.S.) that could be deployed to head off any bank run or other financial emergency. Chinese national debt, as officially reported, sits at around 50% of its 2011 GDP of $7.3 trillion, compared with a U.S. debt-to-GDP ratio of more than 80%. But appearances can be deceiving, says Victor Shih, a political scientist at Northwestern University who has a host of sources inside and outside government in China and has burrowed deeper than most other Western observers in all manner of government reports, corporate financial statements, bank filings, and bond prospectuses. His conclusions are several. First, when one tallies up all the liabilities direct and contingent of the Chinese central government, indebtedness of the state-controlled banking system, various government entities like the Ministry of Railroads, state-owned enterprises, local government loan investment vehicles, and considerable cross-holdings of bond debt by SOEs, China's government debt-to-GDP triples to about 150% and is rapidly rising. Secondly, nonperforming loans in the financial system are dramatically higher than officially reported, because the banking system, under orders from authorities, masks that total by sedulously rolling over bad loans. For example, even the $500 billion of bad loans hived off by authorities to facilitate the initial public offerings of the giant state banks Bank of China, China Construction Bank, Industrial & Commercial Bank of China, and Agricultural Bank of China now sit chastely in various asset-management companies, mostly bereft of any write-downs or of substantial recoveries. Peril for China's banking system lies, ironically enough, in a liquidity crisis that might ultimately expose many of the rotten loans like so many stinking, beached whales. Any faltering in the China growth story could cause corporations and investors both on the mainland and offshore to run down their renminbi balances through simple balance transfers and clever invoicing to move funds offshore. There was such an outflow in the latest monthly figures for April, when some $11 billion worth of renminbi left China in excess of the sums flowing in from overseas as a result of the nation's continuing positive current-account balance and foreign direct investment. Capital flight by corrupt party members and other wealthy Chinese could also shred China's vaunted safety net of $3.2 trillion in foreign-currency reserves. Northwestern's Shih estimates that the top 1% of Chinese households have amassed liquid and real-estate wealth of as much as $5 trillion. The gambling mecca of Macau and leaks in the banking systems afford plenty of ways to get money out of the country. But that's all still frankly a bit beside the point that should by now be made. Which is, how does the Chinese economy finance itself? The Zhejiang government is scrambling to settle a credit crisis threatening banks and financial institutions that altogether issued about 6 billion yuan in loans to scores of companies. Sources say 62 companies, from furniture makers to import-export traders, have been affected to varying extents by the collapse late last year of Hangzhou-based property developer Tianyu Construction Co. Ltd. The companies were financially linked to Tianyu through a province-wide, reciprocal loan-guarantee network. Tianyu's sudden failure raised the specter of a domino effect of defaults taking down every network participant and devastating their lenders. Guaranteeing loans for each other has long been common in Zhejiang, said a risk officer at a major bank. Neither is there anything unusual about credit crises and subsequent government bailouts in the province. The city of Shaoxing, for example, rode to the rescue in 2008 following the failure of a local petrochemical firm called Zhejiang Hualian Sunshine Petro-Chemical Co. Ltd.
Hualian Sunshine borrowed more than 8 billion yuan from eight banks and let a number of enterprises use that borrowed money to guarantee their own loans. Together, the network's participants borrowed more than 100 billion yuan, said an Industrial and Commercial Bank of China official. "Zhejiang's business owners were spoiled by easy access to credit, especially in 2008 and 2009," said a credit manager at one bank. "Back then, they could always get loans using land as collateral and could always make money by investing in property." The reciprocal nature of the guarantee network stripped real bank loan guarantees of any value, argued another banker. The system has made all its participants mutually vulnerable to an economic downturn, he said. Now that property development can no longer guarantee profits, the banker said, borrowers and guarantors are in trouble together. Cash flow at some enterprises has fallen to dangerously low levels, said a bank loan officer, so that they've been forced to survive on credit. Many ran out of cash after pouring money into speculative property investments, he said, which flopped after the central government imposed real estate development restrictions in 2010. An executive at Hangzhou furniture manufacturer Rongshi Group is among those faulting the banks, which have called in his company's loans. "Most banks care only about how to get themselves out of the mire," he said. And without a broad solution for companies and banks "no one will escape." Right, that's a circular Ponzi–meets-creative-accounting scheme, in which companies simply guarantee each other's loans, use the loans to speculate, and in the end there's zero collateral for a zillion yuan in credit . Zoomlion has an interesting business model, it is similar in many of ways to Caterpillar, except whereas Caterpillar report falling sales, Zoomlion reports astounding sales growth with a fivefold increase in revenue since 2007. Zoomlion customers sometimes buy ten concrete mixers when they planned to initially by one or two. They have a perverse incentive to buy more than they need because these concrete trucks are purchased via finance packages supplied by Zoomlion. Then the machines can be garaged and used as collateral to borrow further funds from other lenders. Zoomlion continues to grow while cement sales have plunged. In May, cement output increased 4.3% YoY, down from 19.2 per cent recorded last year. Zoomlion’s new debt of $22.5 billion buys roughly 900,000 trucks which could produce enough concrete (at six loads a day) to build over thirty Great Pyramids of Giza a day . The current political leadership of China represents the greatest looting of a country by the political class ever seen in history. In the Hurun Report released in March 2012—the richest 70 members of the government have a net worth of $89.8 billion, an average of over $1 billion each. This compares to $7.5 billion for the 660 for the US government, an average of $11 million each. So on the one hand, we have companies guaranteeing each other's debt (loans), and on the other hand, we have companies buying excessive numbers of equipment, which they pay for with loans provided by the suppliers on condition excessive numbers are bought. That equipment is then used as collateral to secure more loans. Large parts of these loans are then used to speculate in real estate markets. In both instances, and don't let's forget the overlapping ones where both schemes are combined, we are talking about absolutely virtual money. Are these incidents perhaps? I find that hard to believe in view of how Chinese society is organized: major profits will attract major attention, a pyramid of perfect dimensions. 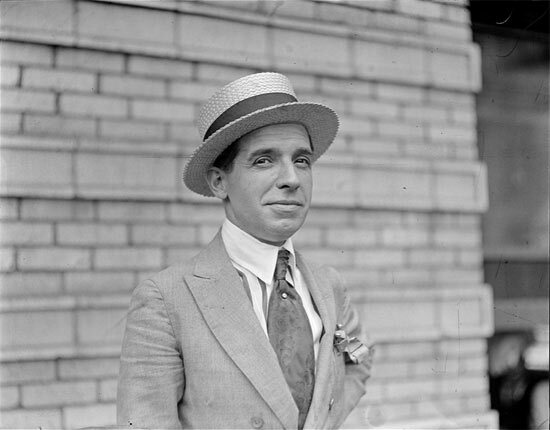 Charles Ponzi, eat your heart out. You may have been a fine crook, but you never even dreamed of operating on this scale. When these guys are done, they’ll leave nothing but a shell of a country behind. The Chinese elite has amassed far more in wealth than all the country's vaunted foreign reserves put together. That is something people all over the world need to very seriously think about. For now, though, the only true Chinese leader is Pon Zi. Whose inevitable successor will be Domi No. This topic contains 0 replies, has 1 voice, and was last updated by Raúl Ilargi Meijer 6 years, 9 months ago.